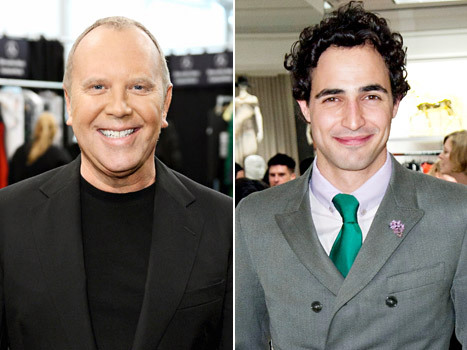 Michael Kors (left) and Zac Posen (right). After 10 years as a judge on Project Runway, Michael Kors is being replaced with Zac Posen for its eleventh season. The new season will begin airing on January 24 on Lifetime. According to Lifetime, Kors has decided to leave due to his own scheduling issues. It will certainly be interesting to see how Posen fills his new role as judge on the show. According to a spokesperson from Lifetime, Kors will return to the show for the finale as a featured judged. You can also expect to see a host of guest judges throughout the season including Kristin Davis, John Legend and Bette Midler. Viewers can expect to see another big change in the show this time around. Designers will now compete in team challenges every week. If you're a fan of the show, you'll remember that every time there is a team challenge, the designers typically are resistant. They don't usually take well to working with others for fear of their design philosophy being lost in a group. This usually brings conflict and can drive some interesting disagreements among the designers. This certainly will push each competitor to do their best to stand out each week. I'm sure the show's producers are betting on the conflict to make for more rivalry between the designers which some viewers enjoy.